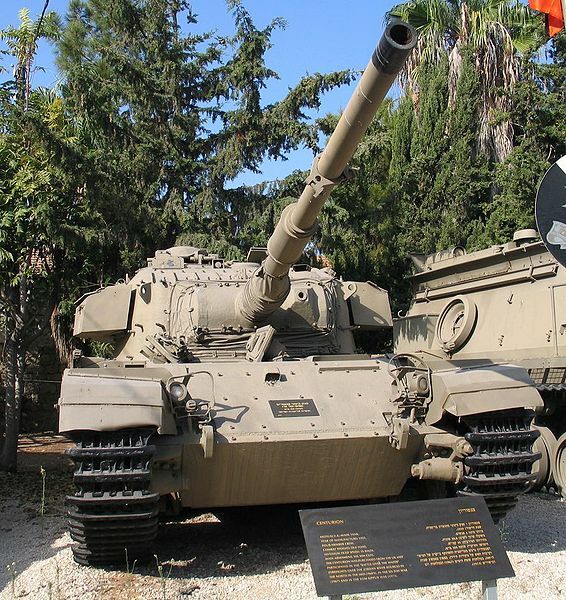 In 1958 the Israeli were equipped with aging rearmed M50-51 Shermans and light AMX-13s but lacked modern MBTs. They turned to the British Government for the session of second-hand Centurion Mark III and Mark Vs, about 390 in total. However quite quickly they were modified locally to local specs, earning the title “Sho’t”. 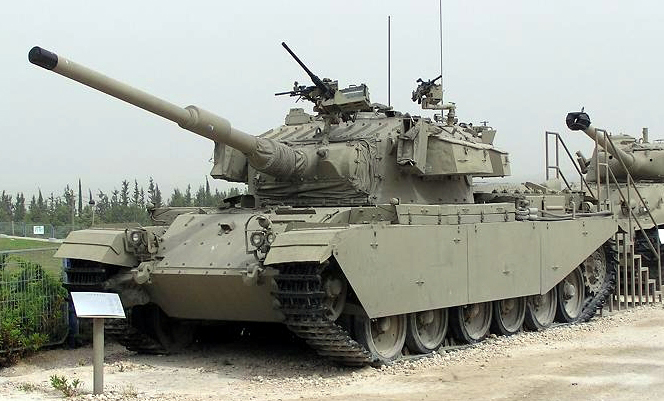 The British Centurions proved the most valuable asset in the Israeli arsenal, still in service in the 1990s. The long range of their 105 mm gun combined with marksmanship training proved invaluable on several occasions, the most obvious being the 1973 Yom-Kippur War when camped high on the Golan Plateau reserve Sho’ts and Magachs (M60s) nailed down methodically about 250 Syrian tanks in a single day and completely reversed a badly started situation for IDF. British Centurion landing in Suez 1956. Two years later the IDF acquired hundreds of Mark III and Mark Vs. The British Centurions, first delivered in the late 1950s were renamed “Sho’t” (“scourge” or “whip”), modified and upgraded soon after their acquisition. This started with the Mark III still equipped with a 20 pounder main guns, and up-gunned to the new locally produced 105 mm based on the British ROF L7 as soon as it was available. The cupola ring was modified to accommodate a heavy cal.50 on an AA mount. The engine was kept as it was, earning the name (later on) for these unmodified vehicles of “Sho”t Meteor”. Other detailed modifications comprised an improved fire extinguishing system, better electrical systems and brakes, and increased fuel capacity. Israeli Centurions in Tel Aviv, 1965 parade. The Sh’ot Kal (which stands for “Continental” simplified in “Cal”) can be distinguished easily by its raised rear deck, so to accommodate a bigger, more efficient American diesel engine. Indeed, they all have a new Continental AVDS-1790-2A diesel engine coupled with an Allison CD850-6 transmission. This also in turn helped commonality with the M48/M60s fleet and maintenance. In addition, they were fitted with American radios plus a 7.62 mm caliber GMPG preferably to their Browning cal.30 on a tailored commander’s cupola arm, or in alternative a heavier 12.7 mm browning M2HB caliber HMG which was also present on a forward center-line mount over the mantlet. Most importantly a new turret rotating mechanism was fitted, a new gun stabilizer, the fire control system as a whole was locally modernized, the sights also (new IR sights), the glacis armour and turret front were thickened by add-on layers, and later received provisions for the new explosive reactive armour (ERA) Blazer package, also on the glacis and turret front. Ultimately a roomier ammunition layout was used to increase ammo storage. An extra turret basket was added on the back and new smoke dischargers were also added to the turret later protected by armored covers and new commander’s cupola (from the Gimel in 1982). Dates and possible improvements are only indicative, we still need more precise information. The Sho’t Kal were used until the end of the 1980s. They were later disposed of and gradually converted in new tasks so that they are for the most still in active service today under these new variants. The only exception if the Singaporean Tempest we will see in detail. Puma CEV: IDF Heavy Combat Engineering vehicle. Eshel ha-Yarden: Ground tactical missile launcher (1×4 290 mm) stayed as a prototype. Sho’t en route to the Egyptian positions in the Sinai, October 1973. Information yet to confirm. Jane’s and the SIPRI trade data bases regularly mentioned it, but very little information is available and especially no photos. 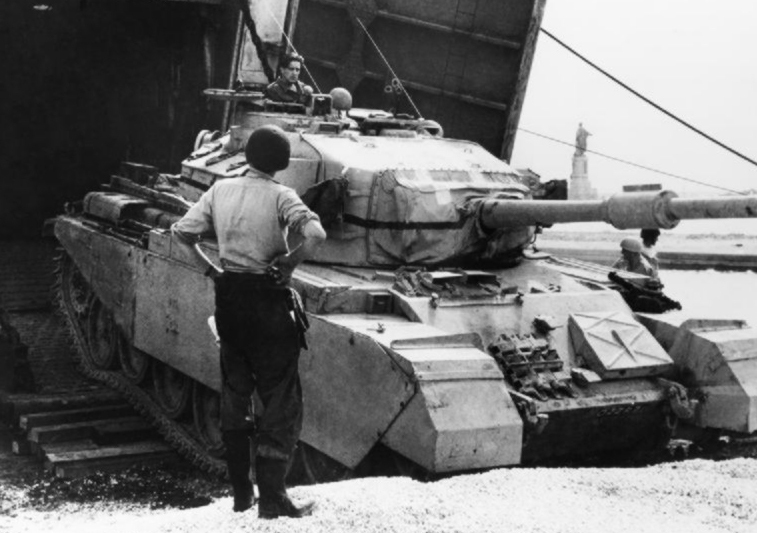 Singapore allegedly had some 25 to 63 (depending on the sources) Centurions in service with the shady Singapore’s 32nd division (ex-Indian Mk3 and Mk7 presumably with 20pdrs acquired in 1975) which were assumed to have been modernized with the help of Israel on the same line of the Kal Dalet, including American diesels, new FCS, sights with possibly FSAPDS ammunitions, gun stabilization, add-on armour and ERA, with possibly extra ex-IDF tanks, for a total of about 100 although most sources state 63. Apart from a training unit in Brunei, all Tempests are based in Singapore, probably not in service anymore but they were never displayed in parade nor are present in the local armor museum contrary to the recently acquired 66 Leopard 2s (a rather similar number). Elaborate hoax for strategic reasons or well-kept secret? Future will tell. 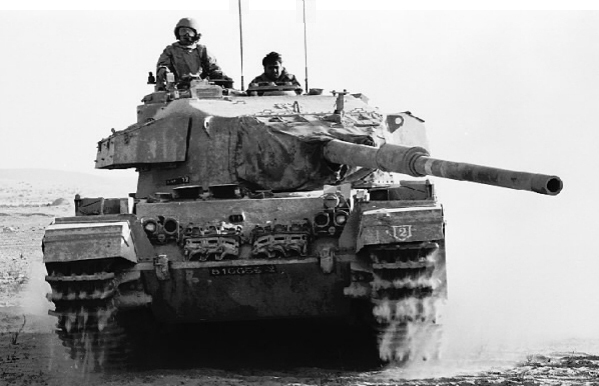 When the Six-day War broke out in 1967, the IDF had 293 Centurion in active service out of a total of 385 and even manage to grow this number by capturing 30 Jordanian Centurions (out of 44). 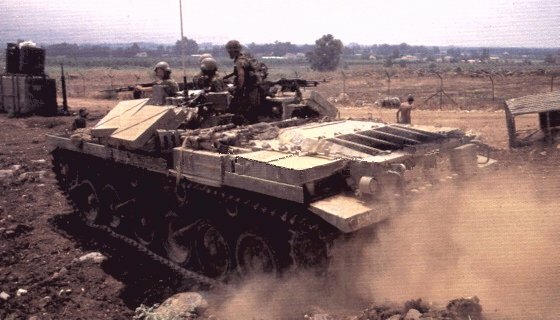 The Battle of “The Valley of Tears” on the Golan Heights in the 1973 Yom Kippur War really consecrated the Sho’ts as one of the most deadly tanks ever, when less than 100 tanks of the 7th Armoured Brigade single-handedly defeated the advance of some 500 Syrian T-55s and T-62s, knocking out some 250 before the rest fled. It was due to a combination of carefully planned positions on the heights with gun-down positions, the 105 mm long-range accuracy compared to the 100 mm of the soviet-built Syrian tanks (which also crucially lacked the elevation required to target the Israeli tanks on the heights when closing up), and expert long-range marksmanship due to intensive training on part of the Israeli tankers. Israeli Sho’t destroyed on the aftermath of the battle of Karameh, 1968 (battle of attrition). According to their company commander’s report, they were able to methodically hit each tank in the order of arrival before any could accurately respond, until running literally out of ammunitions, for the loss of about 60-80 tanks and other vehicles. In total the Syrians lost about 500 tanks in three days, many of which will found their way in the IDF army as the “Tirans”. This compensated the heavy losses in the Sinai (some 200 tanks, about 40% of their southern armored groups during the first two days of the war), partly due to massive use of briefcase AT-3 Sagger ATGMs by the Egyptian infantry as well as RPG-2s, RPG-7s on the Bar Lev line which came as a real shock for IDF. One of the most amazing exploits was the action of only two damaged Sho’ts (commanded by Zvika Greengold) that engaged about 150 Syrian tanks and knocked down about 60 of them. 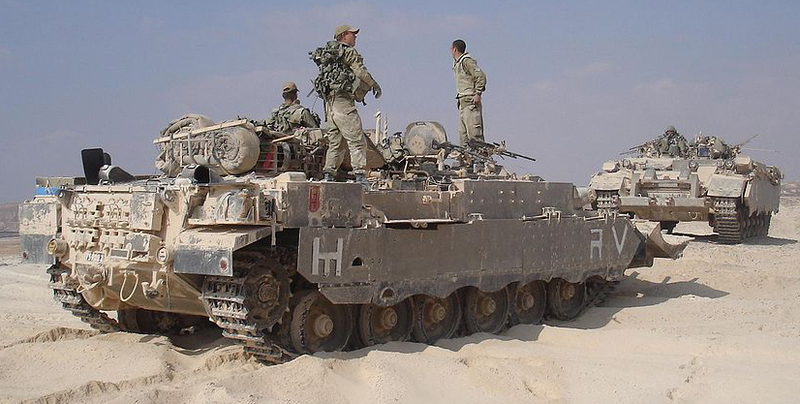 At some point on October 9, the IDF’s 7th Brigade was down to only six tanks. In grand total over the course of the five days of fighting the Syrians had lost almost 1,000 tanks, an entire armored divisions plus reserves. Memorial at the valley of Tears. This is not a contemporary Sho’t but a more recent one, as shown by the turret’s roof provisions for ERA armor. The Sho’t Kal appeared only after the war in 1974 and were gradually improved partly based on this experience until their last active commitment in Lebanon in 1982. Here were first introduced the “C” version (Gimel) equipped for the first time with Blazer ERA package (reactive armor covering the turret front and hull glacis). A new version appeared in the mid-1980s “Dalet” with some protective improvements (However apparently missing the Urdan cupola) and gun thermal sleeve. By 1990 or earlier, at the conclusion of the war, the Shot’s were retired from service but most were converted to APCs and CEVs. Video: Greatest Tank Battles- October 1973, Sinai. Shot Kal Alef preserved at Batey el Hosef. Provisions racks for Blazer ERA are well visible. 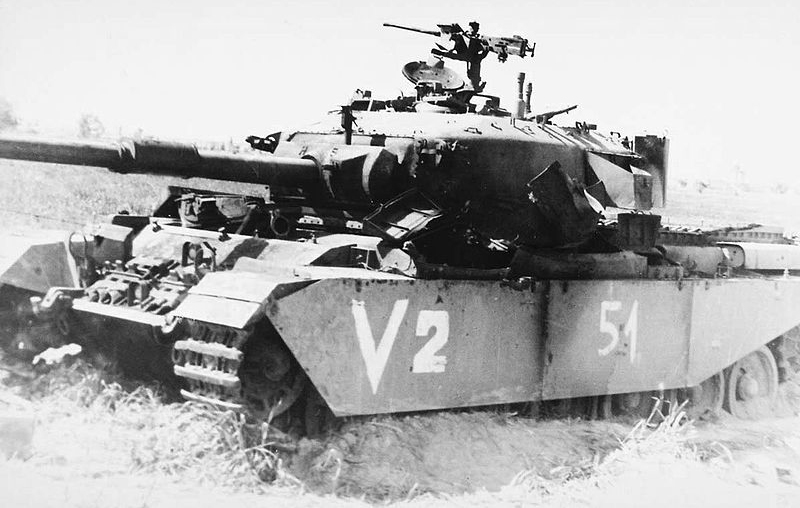 Israeli Centurion Mark III, six-days war, 1967. 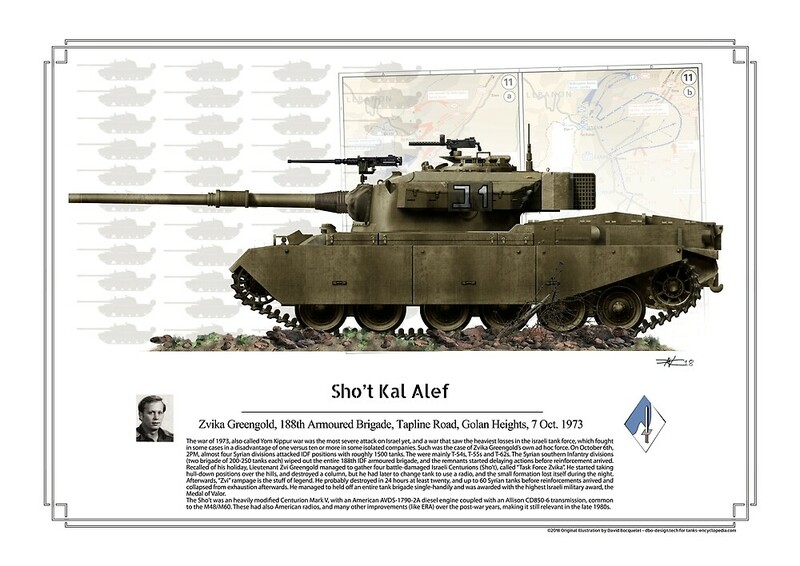 Sho’t of the first version, Yom Kippur War 1973. Sho’t Kal from the second company, third battalion, Lebanon, 1982. The 12.7 mm (0.5 in) and two 7.62 mm (0.3 in) machine guns provided extra firepower in urban warfare. They also receive Blazer ERA protection. IDF Sho’t Kal Dalet with a Battering Ram, Lebanon 1980s, the last evolution of the Israeli Centurion. Notice also the gun thermal sleeve and pale olive green livery of the northern sector. Excellent publication. Splendid design and photos not forgeting the descriptionfor any thank enthusiast which is my case. I’m an economist of 65 years old and I have more than a hundred and twenty models built. As long as I remember I always like tanks. Hi, could someone please do an illustration of the Singaporean Tempest, as in, what it would’ve looked like? As a Singaporean, I would be interested to see what it would’ve looked like. Thanks. Also, the Tempest did see service in the Singapore Armed Forces, I know a guy who was lucky enough to have been the last batch of National Servicemen (NSmen) to serve on the Tempest. While there are no current plans for such a thing, we may well look into this in the future. If your friend is willing to provide us with some information, that would be a great help.